totally new to me... can guess how it tastes and not so complicated one as it sounds in heading. ha ha ha.. I too had made the same soup for AWED: French,mine is only little different,I think there are different types of potato-leek soups available.I will be posting next week only. I love leek soup and your looks really thick and dleicious. 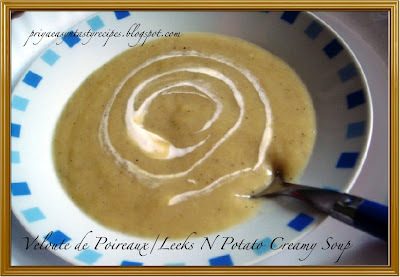 love the taste of leeks..soup looks delish..
Poireaux is one the veg I love. Great for winter! 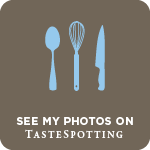 Looks creamy and delish ! Soup looks yummy! Different one! wow the soup looks very creamy priya! I had something similar at a friends place recently...yours looks delicious..
What a lovely soup Priya! Thanks for entering it into No Croutons Required. The line-up and voting poll will be up and running at Tinned Tomatoeson the 21st of Feb.